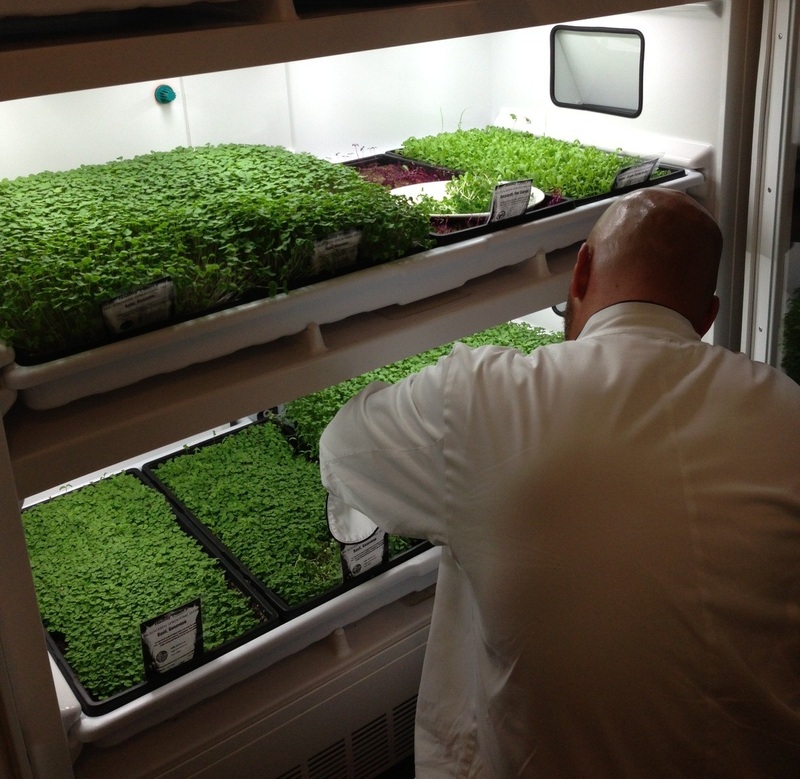 Sheraton Phoenix Downtown Hotel recently installed Arizona’s first commercial-use Urban Cultivator™ to grow, sprout and harvest a wide selection of fresh and aromatic micro greens and herbs. Now guests of the hotel and its restaurant, District American Kitchen and Wine Bar, can experience a wide array of delicious and hard-to-find greens all year round. The decision to install a six-and-a-half-foot-tall commercial-use Urban Cultivator was not just to provide hotel and restaurant guests with the freshest ingredients, but also to align with the company’s sustainable commitment to consume less and care more for the planet. The Urban Cultivator is a fully-automated indoor growing appliance that resembles a refrigerator with double glass doors and a series of growing shelves, lighting and water spouts. It is climate controlled and uses a method similar to hydroponic growing to grow herbs and micro greens. By growing right on property, the hotel is conserving time, water and energy, thus minimizing waste and emissions. The culinary team at Sheraton Phoenix Downtown Hotel and District American Kitchen and Wine Bar take pride and ownership in growing and harvesting the freshest herbs and micro greens. Some of the many greens the team grows include arugula, basil, dill, endive, lettuces, and radishes. The herbs and micro greens are added to a variety of dishes, used in catered functions and infused in many mixed beverages.